The cold continues here in Minnesota, so I’m going to post a few more tracks from the warm climate of Venezuela. It’s nice to see so many tracks found in their big stadiums. Today it’s the one found at Estadio Olímpico Hermanos Ghersi Páez. 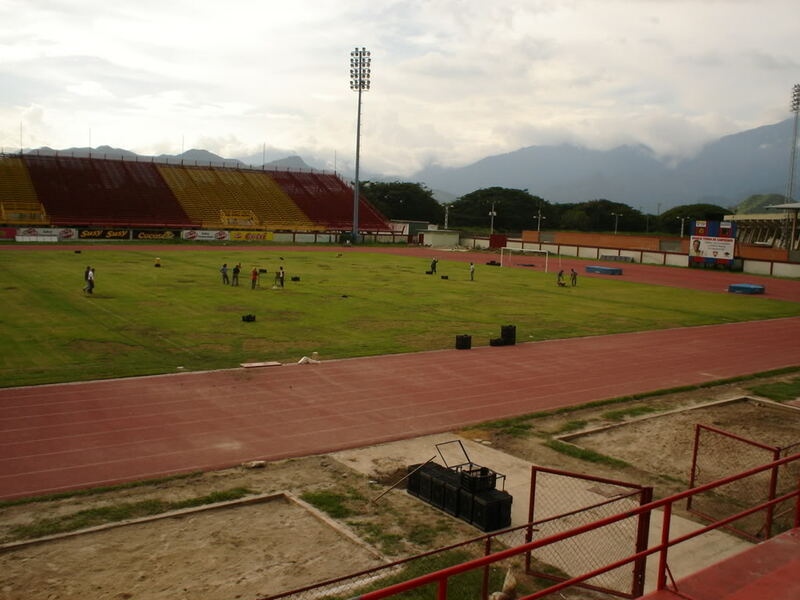 This stadium opened in 1979, and has a seating capacity of 16,000. Renovations were started a few years ago, but they halted in 2008 and hove not yet been resumed. 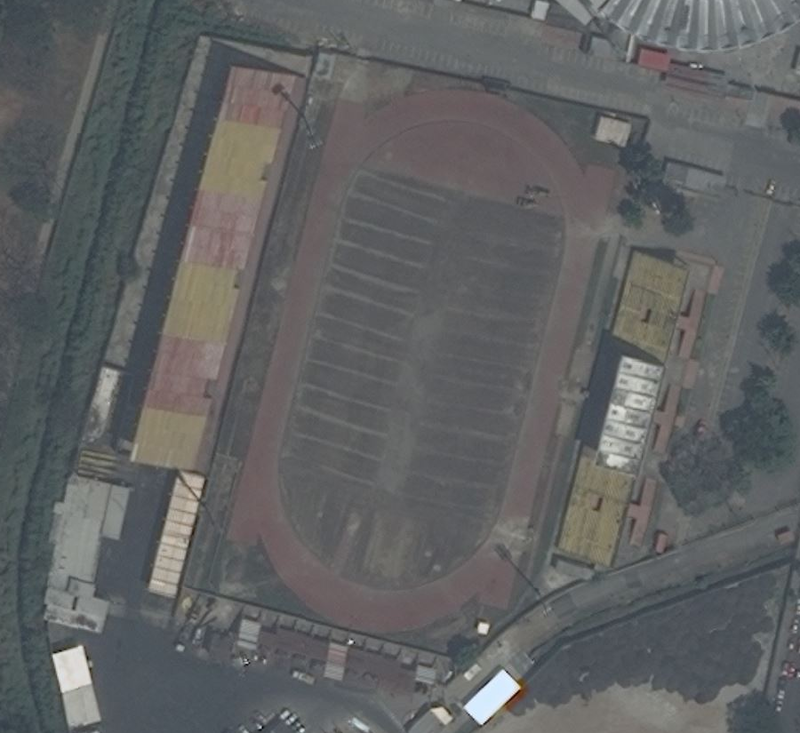 The track is a synthetic surface with eight lanes. Field events except for the horizontal jumps are located inside the track.